HgBags has some new arrivals in their pre-owned section, and some new arrivals for shoes! 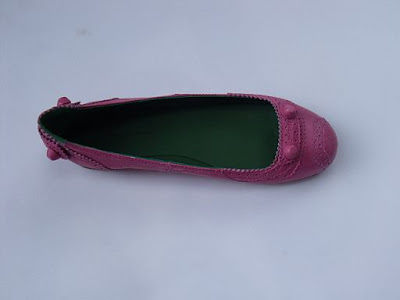 My favorite would have to be the Sorbet flats, such a pretty color for spring! Get ready for Spring with these hot new arrivals from the Balenciaga Spring/Summer 2010 shoe pre-collection. We are featuring the Gladiator Sandal in Sahara and the Ballerina Flat in Sorbet and Sahara! They are only $395 on site, retail is $545! Some hot new bags have been added to our pre-owned Balenciaga section. Check out these rare beauties all at great prices! !